The United States Department of Veterans Affairs partners with lenders across the U.S. to offer mortgages with minimal closing costs to veterans. 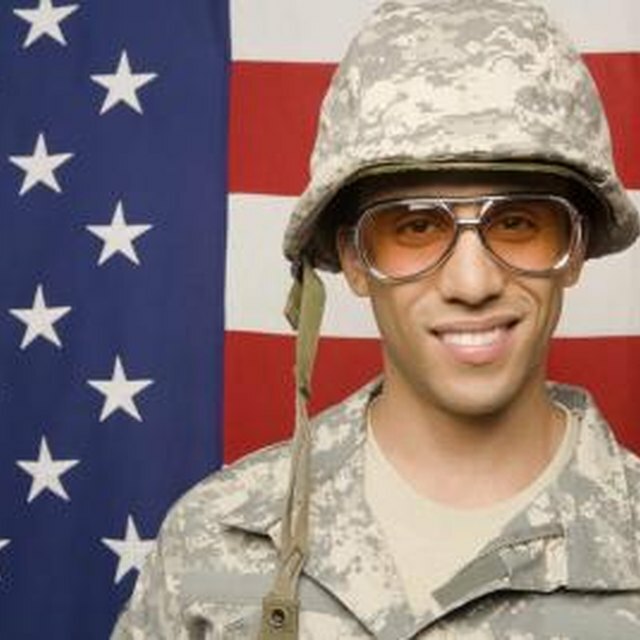 The VA insures loans written to veterans and lenders must meet VA requirements when writing insured loans. However, lenders can charge a variety of loan related fees that are not controlled by the VA.
Borrower's taking out VA backed loans do not have to make down payments. However, the the VA only insures loans up to specified dollar amounts that vary from county to county based on the cost of living across the U.S. Lenders who choose to write VA loans in excess of the insured maximum typically require the borrower to make a down payment. As of 2010, the VA insures loans of up to $417,000 in most parts of the U.S. A borrower taking out a loan in excess of that whose lender required a down payment of just 5 percent would have to pay in excess of $20,000 to just to cover the down payment. Prior to closing, lenders require the borrower to pay for the home appraisal. This fee typically costs between $300 and $400. Additionally, many lenders pass on the costs of obtaining a credit report from each credit bureau to the borrower. This normally amounts to $20 and many lenders wrap it together with the appraisal fee and require the borrower to pay for both at the time of application. Other borrower-paid costs include taxes and prepaid hazard insurance. The seller can pay closing costs of up to 4 percent of the loan amount on the borrower's behalf. The VA does not charge an insurance premium but does require borrowers to pay a VA funding fee that covers some of the organizations costs. As of 2011, a borrower making no down payment must pay a funding fee equal to 2.15 percent of the loan amount. People not making down payments who are not using VA loans to purchase first time homes must pay a funding fee of 3.3 percent. On a $200,000 home that amounts to $6,600. Borrowers pay a reduced funding fee of just 1.5 percent if they agree to make a down payment of at least 5 percent. The VA further reduces the fee to 1.25 percent if the borrower makes a 10 percent down payment. However, people pay less at closing by not making a down payment at all. Someone buying a $200,000 home with a 10 percent down payment must pay $22,500 to cover the down payment and the fee, far more than someone making no down payment. However, greater equity leads to a smaller loan balance and lower long-term interest costs.